AFL Sydney Juniors have just released the fixtures for the 2019 season. Please click on the links below for a detailed list of times and locations for games this year. These fixtures can also be found on the LCC TeamApp (under Fixtures). You can also view them via the website version. Please note it should always be assumed that these online fixtures are the official fixtures. If you ever have conflicting times or locations for a particular game, the online version takes precedence. Despite the majority of teams fixed and the fixture being prepared, we are still keen to hear from anyone who is thinking about playing AFL. There are several teams that only have the bare minimum numbers. With the normal injuries and absences, it would be great to have a few more. So spread the word to all your friends about the benefits of playing AFL. Its one of the most inclusive football codes in Australia, with unwavering support from the top administration. Its a fast pace game that caters to every type of player. Each boy or girl in the junior age groups are encouraged to try every position. No one is left one the sidelines or excluded due to their level of skill. At the Lane Cove Cats, we are focused on creating a family friend environment that will enable the kids to have fun while learning the basics of the game. However, there are plenty of opportunities for highly driven players to push their development and become the best that they can be. Our fees are some of the lowest in the sporting landscape at only $240 per season. The peak AFL body heavily funds the development of community football. The club also covers the costs for any players who reach representative or development carnivals. We also have access to some of the best coaches in the country. The AFL conducts regular coaching clinics to up-skill volunteers. They also send Sydney Swans and GWS Giant coaches out to junior clubs to support these coaches. As a reward, anyone who gets a friend to register will go in the draw for a AFL footy signed by the Sydney Swans. Are you looking to be a team volunteer this year? 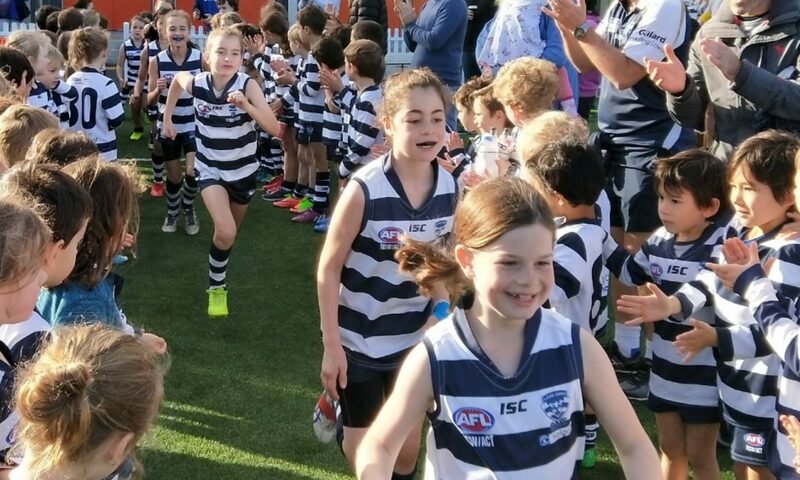 The AFL are holding a junior club development day on the 17th March which will get you up to speed and provide you with all the tools to tackle the season ahead. Held at the Novotel Hotel (Homebush), its a perfect way for coaches to get their full accreditation. It also provides great advice on how to manage a team, deal with injuries, and much more. We strongly advise all team volunteers to attend the day. If you plan to coach, you will also need to register on coach.AFL before attending the day. The process only takes 15mins to complete. Details of the even are below. Places are limited so please register below which sessions you will be attending (this needs to be completed by everyone who attends). A full schedule of course is available here. If you are unsure of which sessions to attend, please contact us prior to registering. This link will close at 9am Thursday 14th March.